Cut the time it takes to recondition and prepare used vehicles for sale. Drawing on his discipline as a former U.S. Army captain and his training in workflow management, Martinez increased the department's productivity and reduced redundancy by combining some employees' duties. He also eliminated time-wasting steps in simple tasks, such as cleaning a vehicle, by creating written processes and procedures, training the stores' detailers in those processes and requiring all detailers to adhere to those standards. All the while, he was keeping a watchful eye on the quality of the work. After about a year, the Iraq War veteran had cut the number of days it took to recondition used vehicles in half, to four. Last month, it dropped to just over 31/2 days. That lowered the dealerships' floorplanning and other holding costs and sped up its inventory turn. "Inventory turn is an easy way to make money," said Martinez, 37. "You can either raise your prices or turn your inventory quicker. The sooner the car is on the sales lot, the sooner it gets sold." The stores that employ Martinez are Greenway Ford, Greenway Dodge-Chrysler-Jeep-Ram and Greenway Fiat. Greenway Automotive ranks No. 12 on the Automotive News list of the top 150 dealership groups based in the U.S., retailing 45,593 new vehicles at 44 dealerships in 2014. The dealership group also retailed 26,742 used vehicles in 2014. 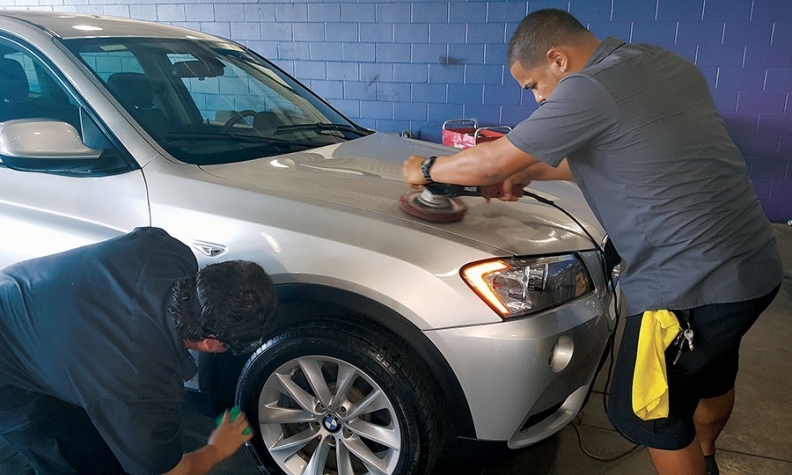 Martinez's department of 27 detailers, 14 service technicians and six managers repairs, services and cosmetically reconditions up to 600 used vehicles a month that the stores either purchase or take as trade-ins. It also inspects and prepares for sale about 400 new vehicles a month. Martinez served in the Florida National Guard and then the Army from 1996 to 2004. He spent a year of that time in Iraq. After leaving the military, he worked as a construction manager in the homebuilding industry and was a quality control manager for a cabinetmaker. In those jobs, he earned certification in the workflow discipline known as Six Sigma and learned lean manufacturing practices. Six Sigma relies on a set of techniques to improve quality and stamp out potential causes of defects. Lean manufacturing, pioneered by Toyota Motor Corp., aims to eliminate all forms of waste, including waste of materials, motions and energy. 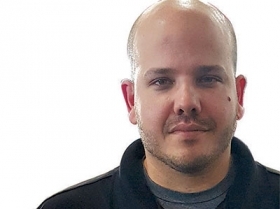 When Martinez took the Greenway Automotive job, he also was charged with figuring out new software the dealership had just purchased to help track and monitor a vehicle's status in the reconditioning process and how long each step takes. He said it took a while to fully implement the program, but it now is as vital to his workday as his cellphone. "It is how we communicate and track and log what needs to happen with the vehicle, who approved it and what step it's in right now," said Martinez. Among other things, the software helped him identify tasks that could be done efficiently alongside other tasks and then trained employees to do both. For example, when Martinez arrived, a store manager and a service technician would inspect each used vehicle before reconditioning. Managers made written reports that recommended cosmetic reconditioning, and service technicians made separate reports that recommended mechanical reconditioning needs. To make the task more efficient, Martinez trained service technicians to do both inspections and reports. It added about five minutes to the time technicians spend inspecting each vehicle, but it freed the manager to focus on other duties. Those written reports also spell out the kind of cleaning problems each vehicle poses -- such as bloodstains on the upholstery or pet hair embedded in the carpeting -- and are placed in a folder for detailers to pull when they get ready to work on a vehicle. Because all detailers go through the same training that spells out the exact cleaning products, techniques and steps they should use to tackle specific tasks, they know what products and equipment to gather at their workstations, Martinez said. That eliminates time wasted looking for products or asking managers about how to handle specific problems, he said. "I didn't change what a detailer does," he said. "I implemented processes and standardized it. Now, I don't have John Doe doing something different from Jane Doe. And they're getting faster at it because they know what they've got to do."